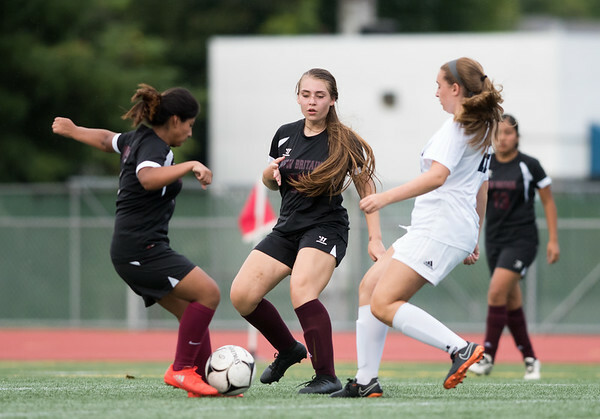 NEW BRITAIN - The New Britain girls soccer team is trying to look at the long-term picture. Unlike most towns, the Hurricanes don’t have a dedicated feeder system, meaning each match and practice tends to be a learning experience. The Hurricanes have set high goals for themselves, including being competitive with every team they face. That starts with trying to get better with each outing. Posted in New Britain Herald, New Britain on Tuesday, 11 September 2018 21:05. Updated: Tuesday, 11 September 2018 21:07.